Colostrum is vital for newborn mammals. What is colostrum? Colostrum is the first milk produced by all mammals. It contains many antibodies produced from the mum that help with immunity of the newborn animals. Lambs, calves, kids and crias are born with no natural immunity so rely on this to help protect them from the bacteria and bugs that they are picked up from the environment. In the past, the term 'colostrum' has been used to describe the first four days of milk, however we now commonly refer to the colostrum as different types — gold colostrum and then transition milk. Gold colostrum is the first milk immediately after giving birth and then transition milk is the milk that follows over the next four days. Newborn animals need 10 per cent of body weight of gold colostrum within the first two hours of birth, followed by 10 per cent more in the next 12 hours. This is usually around two litres for a newborn calf and 100ml for a lamb. Ideally the animals suckle this milk from mum or from a bottle, but this colostrum can also be tube fed if necessary. This timing is important because the newborn animal will be able to absorb less of the antibodies as time goes on due to the closing of the 'pores' of the stomach. 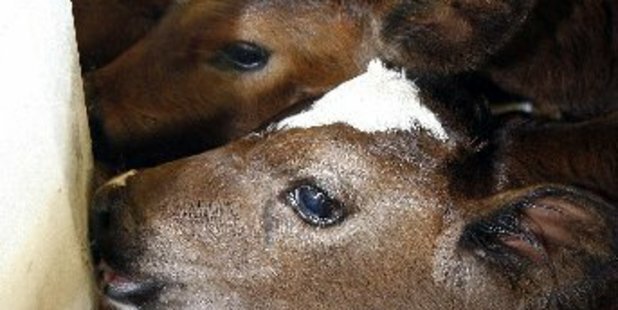 Things to think about when sourcing colostrum or milk: Many diseases can be spread in the milk including Johnes Disease and Mycoplasma Bovis. If the health status of the source farm or dam is unknown, pasteurisation is a great way to ensure that the milk is free from these diseases. Pasteurising is easy and can be done by either heating the milk on a stove or by using commercial machines. As an alternative colostrum powder can be purchased from the clinic so that your animals can get the best start in life. If you have any questions feel free to pop into the clinic at Levin and Horowhenua Vets or call us on 06 368-2891.